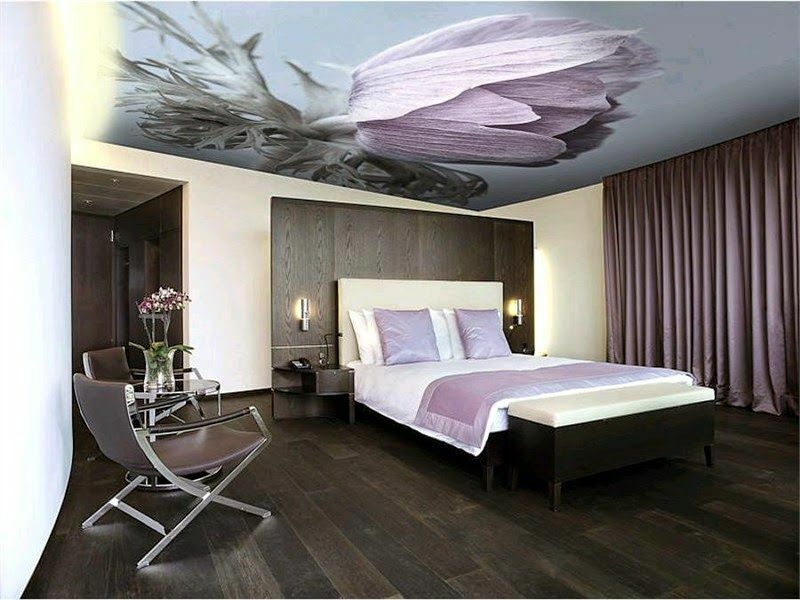 No house is complete without a good design for your ceiling. It may be simple or elaborate but should suit the room and the other furniture in the home. Only then it gives the elegance to the home. Even the lights and fans fitted should be selected to match the ceiling. A good design gives a cool mind and the colour selection should also match the place of the home. The negative and positive trait of the colours should be born in mind while designing any part of the house and that is really right for the ceiling. 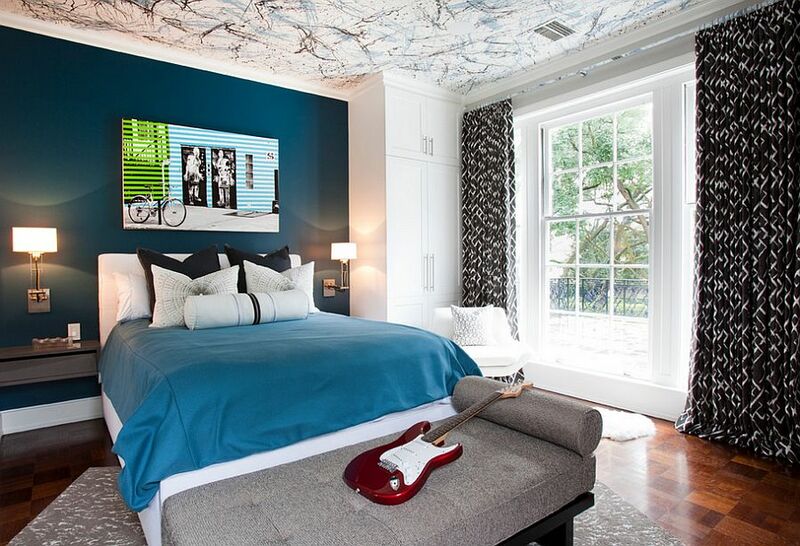 Your ceiling design options go beyond whether to stay with a traditional flat, bright white surface or a ceiling with “popcorn” or some other texture. 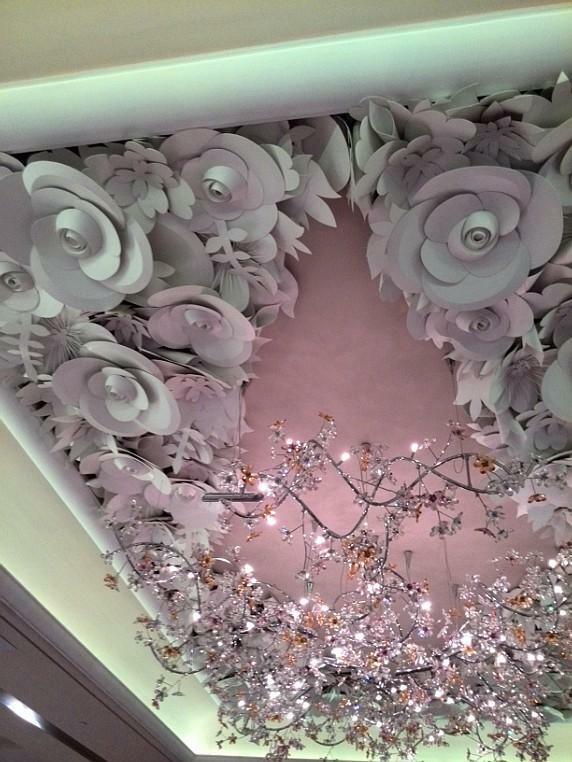 Your ceiling doesn’t even have to be white. For a simple and inexpensive but dramatic change, consider painting your ceiling the same shade as the other walls of your room. Some design experts recommend painting your ceiling a lighter shade of the same color as your walls. 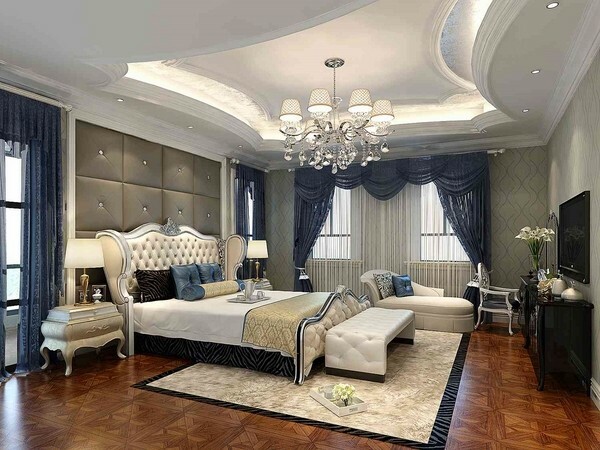 The design for this bedroom is simple but it blends and gives a royal look to the room. 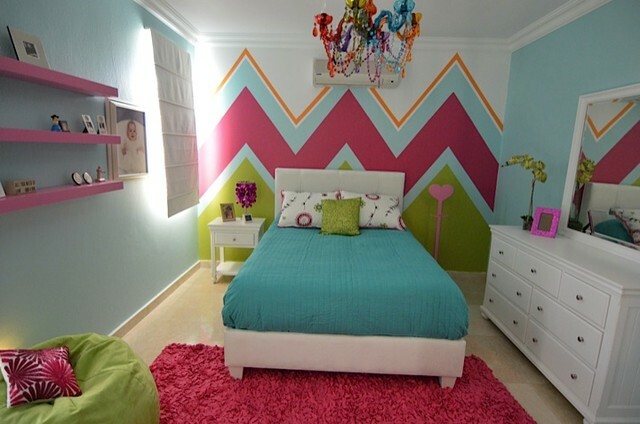 Choose cool colours instead of jazzy ones for master bedroom. Keep the jazzy ones for youngsters for they would love to be violent and hard. Here if you see there has been absolutely no ceiling design done at all. it’s the fan that gives the look to the ceiling. More importance has been given to the selection of the fan for they wanted to make the look elegant and cost effective. 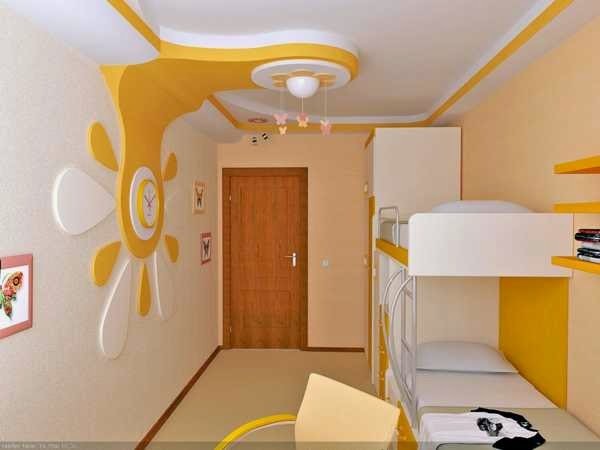 This ceiling and the room is more for a younger age group person. The ceiling just blends with the wood work of the walls. They have taken it as one single work. 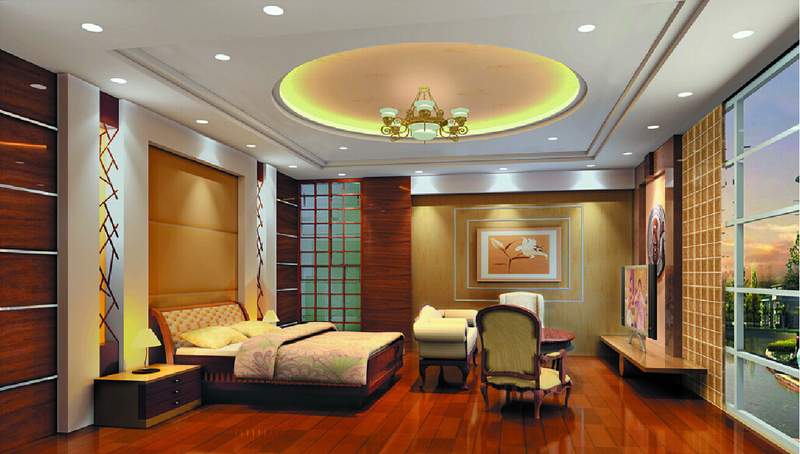 The fan in the ceiling is simple to suit this work. 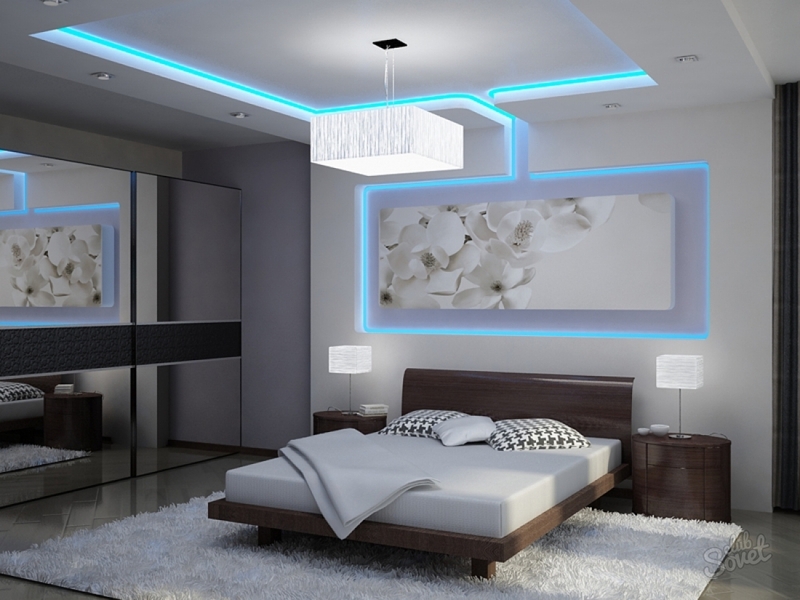 In this bedroom the lighting has been designed so aesthetically that it looks cool and elegant and it blends with the side lamp and the mirror on one wall of the room. The colour of the light has been so chosen that it gives a subtle shade instead of a jazzy look. 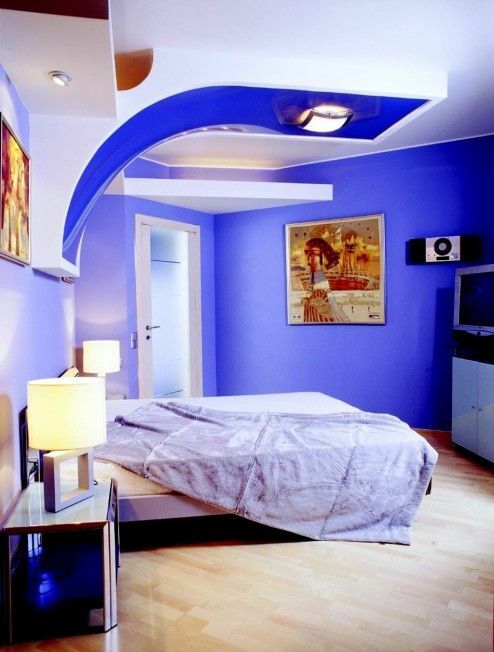 Here the ceiling is actually white but it is the perfect lighting that gives it the blue look and see the lighting on the side of the bed which compliments the ceiling. 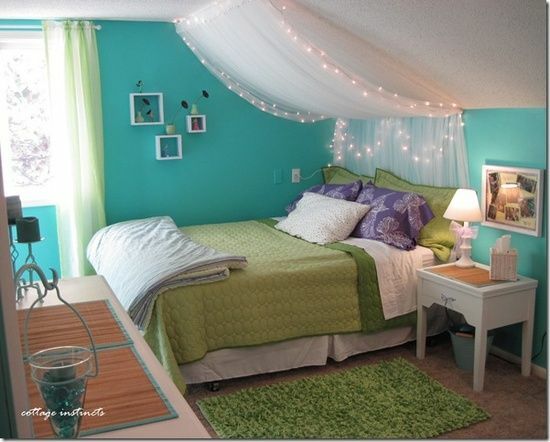 Here the ceiling compliments the oval bed and so the oval circle in the roof. 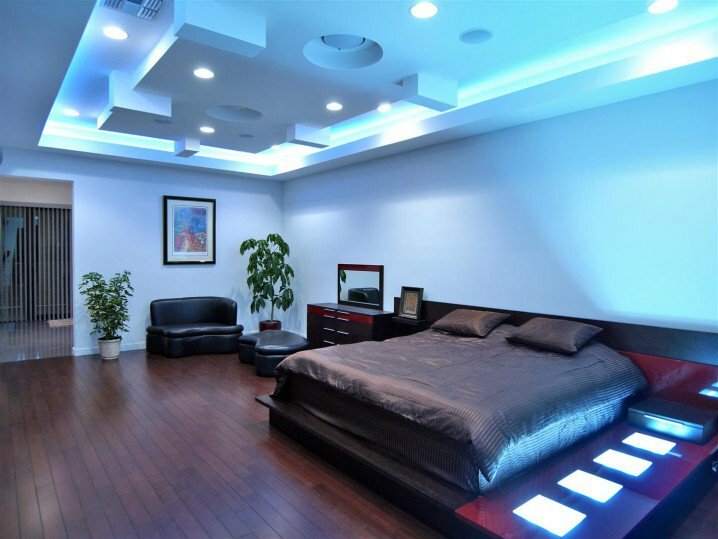 Lightings are perfect to match the room although a simple design the lighting arrangements gives it the rich look. 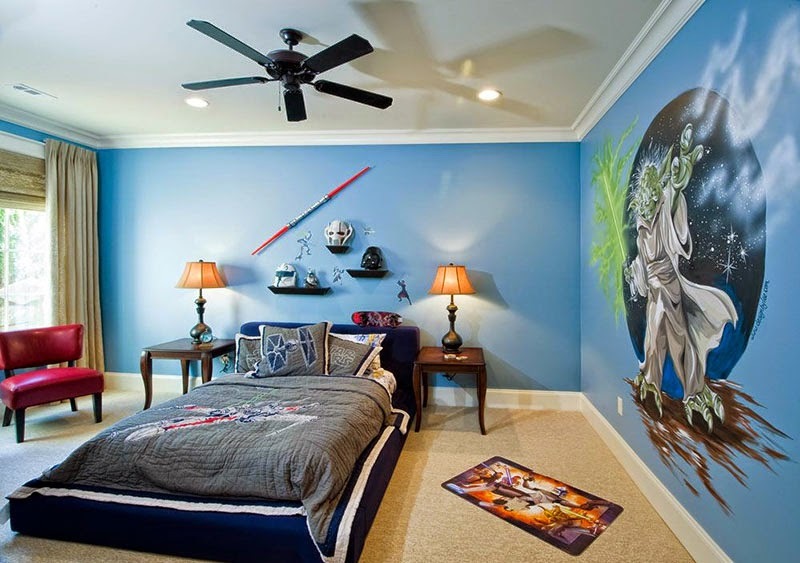 Blue is a cool colour for boys that has been borne in mind while making this bedroom. 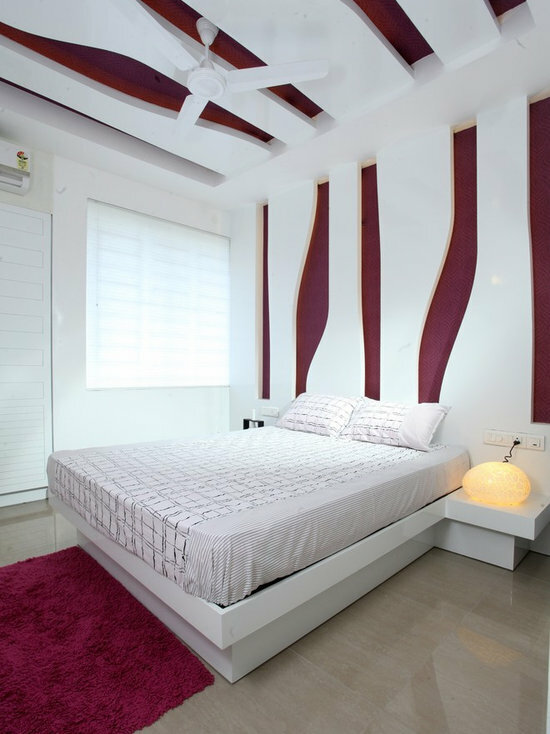 The roof design is simple but complements the room well and is cool for a teenager boy. 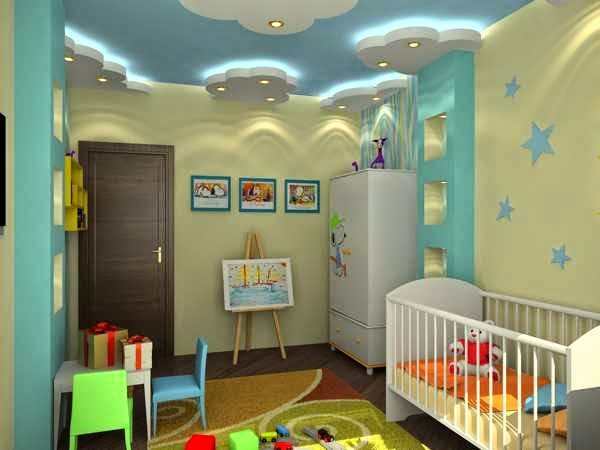 This is by far the simple ceiling design you can have but the room walls compliments well with it to give the real elgant and fashinable look that boys would love. Football is one game boys love to play so here the ceiling is simple but concentration has been made on the wall paper to give a design that boys would love. 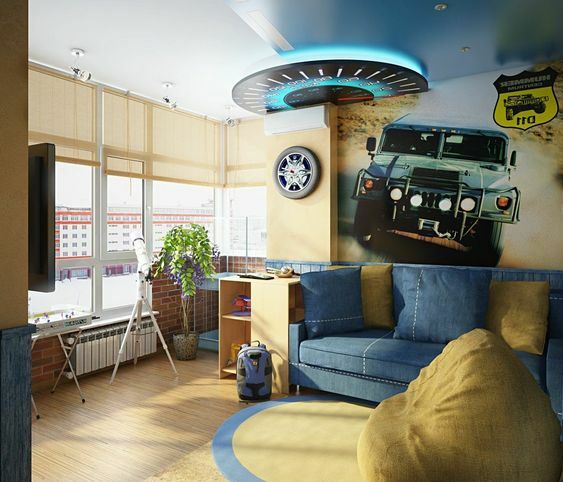 Here if you see the ceiling it is in the shape of a protractor really suits the teenage mind and also it is complemented with the car wall paper. Here the bedroom ceiling is simple but elegant and only covers a portion of the ceiling rest of the ceiling is left free. The light on the false ceiling goes well with the roof and it gives the real good look. The small place has been made really big by this elaborate ceiling and the curves and cuts have been given which would be really loved by a teenager. The elaborate lighting also give it a rich look. This small place has been converted into a teenagers bedroom and made to look rich and elegant with its simple but exquisite ceiling design. Here there is nothing much about the ceiling but the arched ceiling has been made rich by the net curtain. The colour has been selected mild for it to look more elegant. Pink is women colour and teenage girls are not an exception. 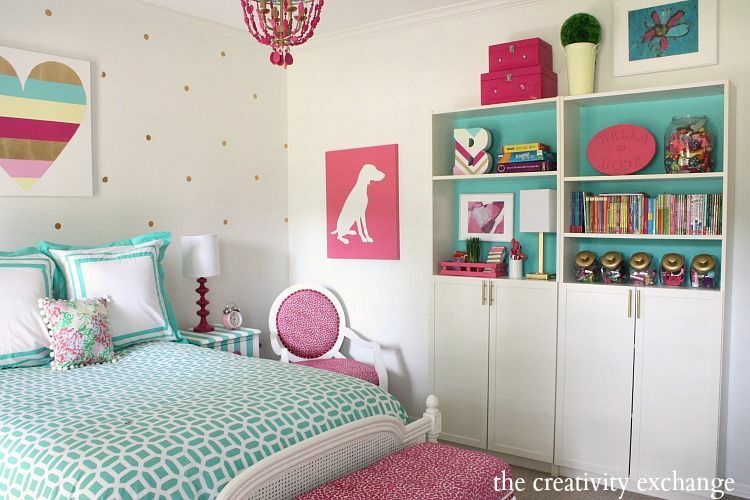 This lovely pink bedroomis perfect for a tenage girl. 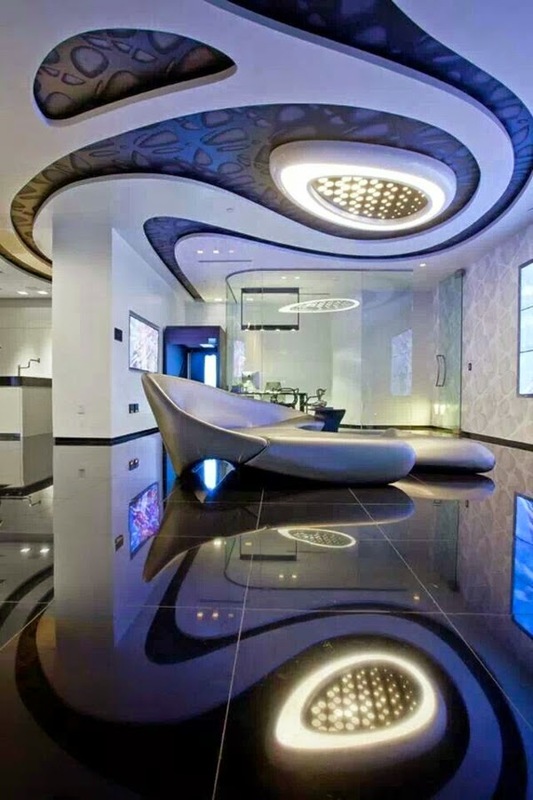 The ceiling is simple but cool and the light have been chosen such as to make the room look rich. Here the ceiling has been supported by a tree shaped structure which gives it the beautiful and good look which would be loved by girls. 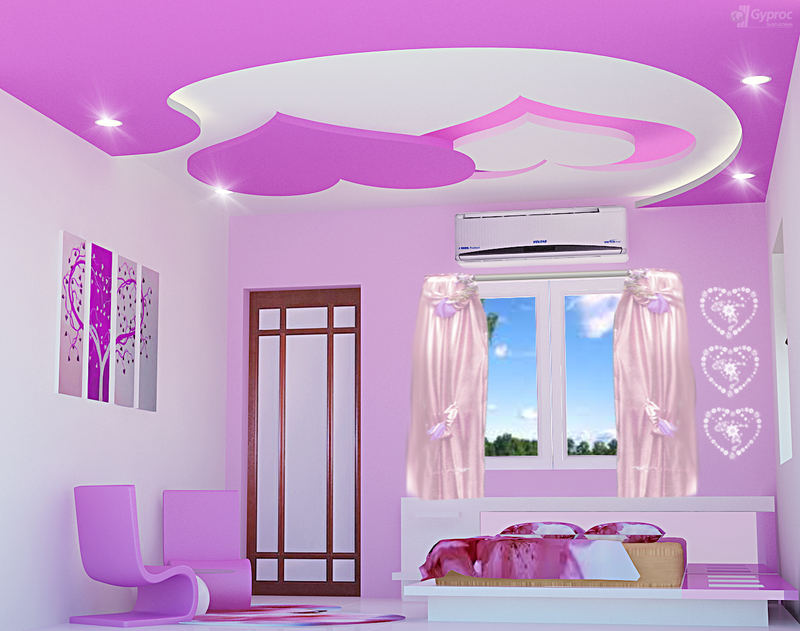 Here the ceiling has been given the heart shape for the real romantic look and the love with a person. Girls are soft and lovable so this complements their mood. Here the bedroom has a wonderful new pattern of ceiling its simple but rich and goes well with the other wood work in the bedroom. The curtain type ceiling is new but nice and gives a royal look. Care has been taken in selection of the colour and material of the cloth to make the room bright and nice.